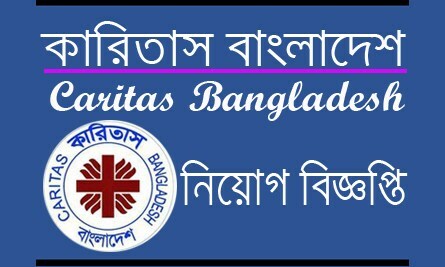 Caritas Bangladesh (CB) is a national and non-profit development organization operating in Bangladesh since 1967. It has its Central Office in Dhaka and eight Regional Offices in Barisal, Chittagong, Dhaka, Dinajpur, Khulna, Mymensingh, Rajshahi and Sylhet. CB is implementing 87 on-going projects covering 209 upazila focusing on six main priorities i.e i) Social Welfare and Community Development, ii) Quality Education, iii) Health Care and Education, iv) Disaster Management, v) Ecological Conservation and Development and vi) Development of Indigenous Peoples. ROLE & JOB SUMMARY: SILC Officer will support project team at all the levels to implement savings and lending committee. S/he will capacitate the field team to implement SILC component at the community level. Monitor and review SILC activities to identify bottle necks and come up with measures to overcome the same. Job Location: Any Upazila under Bandarban Hill District. Please note that the selected candidates will be placed under this Project on contract basis .The project period is up to April 2020 but initial employment offer for selected candidates will be for one year which may be extended subject to satisfactory performance and his/her service will continue in Caritas till the project exists. Represent Caritas at different platforms at different levels pertaining to the SILC component. Support M&E team of Caritas and HKI to develop monitoring tools to assess implementation of SILC activities and its impact. Assist and cooperate with team in other activities. Bachelor degree or equivalent field from any recognized institution. At least 5 years' experience including 2 years' experience in savings/micro finance of similar job in any reputed organization. Working experience in CHT, especially at Bandarban Hill District. Proven record in successful delivery of technical assistance on Micro Finance or Savings activity. Excellent computer (MS Excel is must) literacy. Eligible and Interested candidates with requisite qualifications are invited to apply with a complete CV with details of two referees, two recent passport size photographs and copies of all educational and experience certificates including National ID to : The Regional Director, Caritas Chittagong Region, 1/E, Baizid Bostami Road (Behind Mimi Super Market), East Nasirabad, Panchalaish, Chittagong. Personal contact will be treated as disqualification for selection. The existing staff of Caritas may apply through proper channel. Only short-listed candidates will be called for written test and interview. Incomplete applications will be rejected and the organization reserves the right to reject any application or to cancel or postpone the recruitment process for any reason whatsoever.